Residents may leave trees at the curb with their household trash for pick up by Rumpke on regular trash collection days. Rumpke prefers trees to be in a disposable bag and if larger than 6' cut in half. Questions should be directed to the Hamilton Transfer Station at 867-8661 or visit their website for more details. Yard waste includes grass clippings, leaves, branches, prunings, hedge trimmings, sod, Christmas trees, straw and other plant material. Yard waste is now picked up with your trash on the same day, at no additional charge. Yard waste can be placed in your City or Rumpke-issued trash cart or in a 35-gallon can clearly marked yard waste or paper yard waste bag for collection. 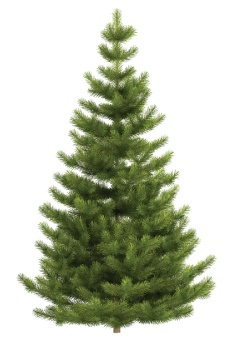 Waterworks Park on Groh Lane will be accepting trees from December 26 to January 5. The city will chip the trees to produce mulch for the parks or residents who desire can keep the mulch for use around their home. Residents may leave trees at the curb with their household trash for pick up by Rumpke on regular trash collection days. Rumpke prefers trees to be in a disposable bag and if larger than 6' cut in half. Call 867-5348 or visit their website for more information. The City of Oxford offers Christmas tree recycling annually from mid-December through mid-January. View their Events Calendar for exact dates. This holiday pick up service does not include wreaths or garland. Oxford residents may place live Christmas trees at the curbside for disposal on regularly scheduled refuse collection days. Yard waste tags are not required for this service. The City of Oxford Streets and Maintenance Division picks up and recycles trees. Direct any questions to the City of Oxford Streets and Maintenance Division at (513) 523-8412. For more information, please contact Jenna Bennett with Harrison County Beautification at (228) 236-6421 or beautification@co.harrison.ms.us . Behind D'Iberville Elementary at the Bobby Eleuterius Sports Complex off Brodie Drive. The Rodenberg Avenue parking bay at Highway 90 in Biloxi, MS. The Woolmarket Work Center at Highway 67 and Old Woolmarket Road. The Ken Combs Pier parking lot on	Courthouse Road Pier at Highway 90 in Gulfport. The Long Beach Harbor parking lot by the Pavilion on Highway 90. And the Pass Christian Harbor west parking lot on Highway 90. 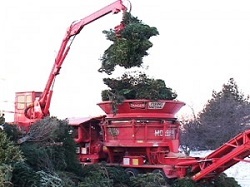 All trees collected will be chipped into mulch and placed at Highland Cemetery for pick-up by the public. Mulch will be available at no cost to citizens of Hattiesburg and will be available on a first come, first served basis. For questions about the tree-recycling program, call 601-960-0000. The Jackson County Landfill at 10501 Seaman Road in Vancleave. The Jackson County Recreation Department on Ballpark Road in Vancleave. The Jackson County East Road Barn on Highway 63 in Escatawpa. The Jackson County West Road Barn on Highway 609 in St. Martin. The Jackson County Fairgrounds north parking lot near the barns, it's at 2902 Shortcut Road in Pascagoula. 4503 Officer Catchings Drive and pick up the free mulch made from the chipped Christmas trees, starting mid January (call 601-960-0000 for this year's date) . The mulch contains no artificial preservatives and is equally safe for your garden or pet pedding. Trees should be taken behind the Ocean Springs Civic Center at 3730 Bienville Boulevard. Or the Public Works Department at 712-A Pine Drive behind the National Guard Armory. 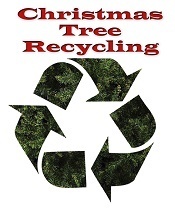 Ocean Springs residents who wish to recycle their Christmas trees will have the opportunity to do so from December 26th - January 10th. Recycled trees will be stripped and chipped for mulch. Any trees left curbside will not be recycled, but rather sent to a land fill. Trees must not contain any ornaments or lights, otherwise they will be sent to a land fill.